Odysseus is, without question, one of the most fascinating figures in classical mythology. Indeed, despite being an ancillary character in The Iliad, he was so beloved by ancient audiences that he warranted his own spin-off, The Odyssey. He was endemic throughout Greek thought and art, appearing in statues, theatrical pieces, poems, and orations, and he was equally prevalent in later Roman culture. Unlike other notable figures of classical antiquity who were forgotten during the Middle Ages (including a fair few who, unlike Odysseus himself, actually existed outside the realm of legend), Odysseus' fame endured, and he made regular appearances in Medieval and Renaissance literature, including a memorable turn in Dante's Inferno. 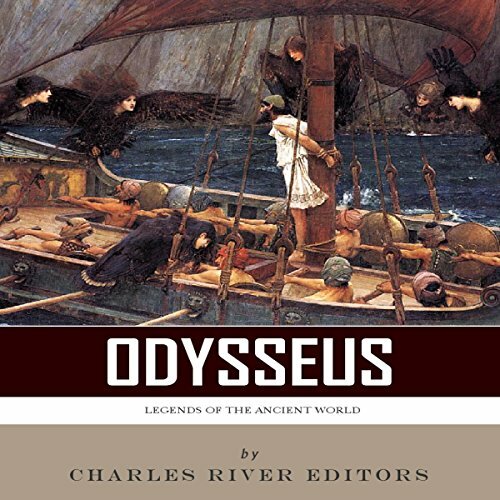 To this day Odysseus remains a highly popular character, having appeared on both the big and small screens, having been featured in a slew of novels, and even making appearances in Japanese anime and Japanese videogames. Characters inspired by Odysseus and his adventures are a staple of modern fiction, and locations said to match those from the Odyssey are scattered throughout the Mediterranean, particularly in Greece and Italy. The true root of Odysseus' mass appeal is that he is a figure of startling complexity. Unlike other main characters in the Epic Cycle, Odysseus does not conform to any particular archetype. While Odysseus' defining characteristic is clearly his intelligence - he was known to the Greeks almost universally as "Cunning Odysseus" - he is no mere schemer, as he was also considered one of the bravest and most renowned warriors to fight in the Trojan War. The Sack of Rome by the Visigoths in 410 A.D.
Not much here. Basically the audiobook retells the myths with little reflection or discussion. The historical and cultural background is rather superficial. The author does not seem to know the scholarship and the narrator struggles with Greek names. I've read other books from this (Charles River) series and they offered much more substance, context, analysis and depth. There is more serious content on the wikipedia page than in this audiobook. I would not recommend this to my students.